Sales of every type of Proof Set dropped again in 1994. While this was bad for the mint in 1994, it was good for collectors who bought them that year, because now the sets are scarcer and more valuable than they might otherwise have been. 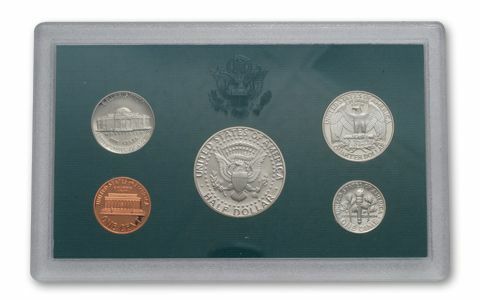 Each set contained five coins: One example each of the Lincoln Cent, Jefferson Nickel, Roosevelt Dime (Copper-Nickel Clad), Washington Quarter (Copper-Nickel Clad), and Kennedy Half Dollar (Copper-Nickel Clad). 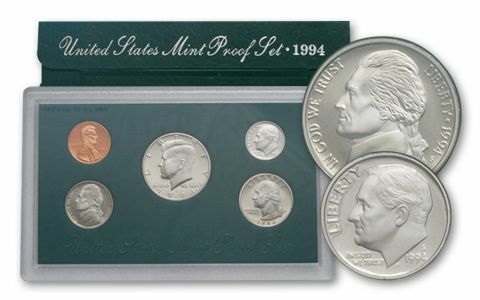 About the sets: All coins in the 1994-S Proof Set were intended to have a Cameo or Deep Cameo Finish. 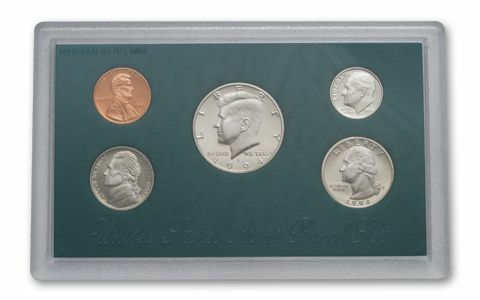 Original packaging: The coins of the 1994-S Proof Set were placed in individual holes in a green-colored, textured paper and cardboard insert, then sealed in a two-piece, clear plastic case. 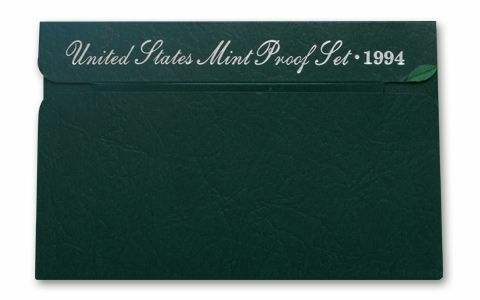 The case was then inserted, along with a Certificate of Authenticity, into a protective outer cover, consisting of green cardboard imprinted with the somewhat confusing silver words: "United States Mint Proof Set • 1994." The new collector might ask, "Is this a Mint Set or a Proof Set?"